Kodi was born on June 13, 1996 in Adelaide, Australia and his parents are Sonja and Andy McPhee. In 2014, Kodi starred in 'Dawn of the Planet of the Apes'. This project reunited him with director Matt Reeves with him he previously worked with on the film 'Let Me in'. He appears at he film Young Ones, premiered at the 2014 Sundance Film Festival. Kodi was recently at the 2015 Sundance Film Festival for the premiere of Slow West with Michael Fassbender. The film received the World Cinema Grand Jury Prize. Before, Kodi was seen as the lead role in the Australian television mini series Gallipoli based on the WWI episode. 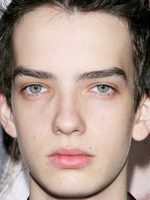 Kodi Smit-McPhee has been active for 10 years, participating in 11 movies that average a 6.7/10 score.